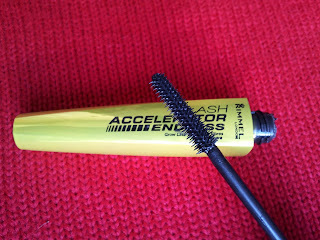 Today's post is all about the mascaras that I currently have on the go. From looking at what I use, I have realised I use all high street/drug store brands. 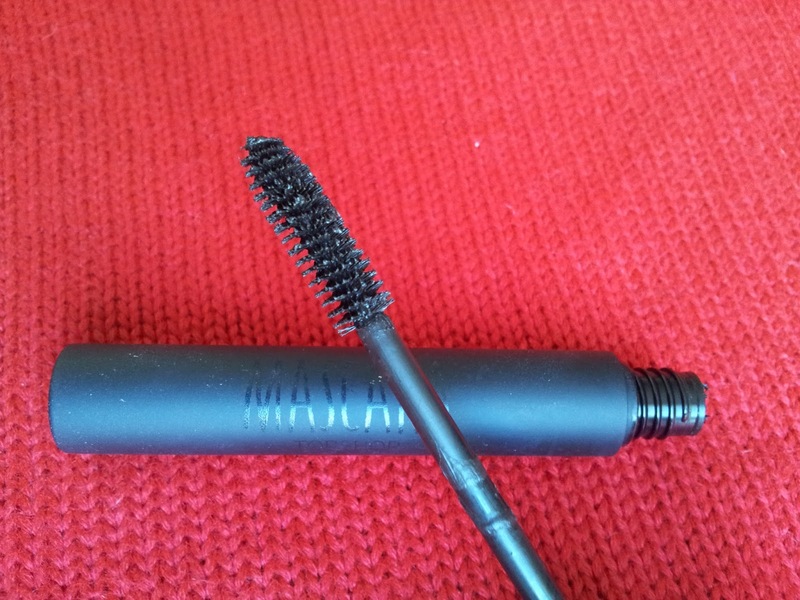 I have never been one for high end mascaras, I guess I don't tend to rate mascara as important as some of my other beauty products. 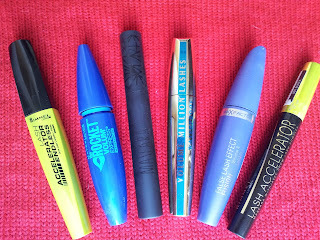 Here is the current selection of mascaras that are making their way into my make up back over the last couple of months. 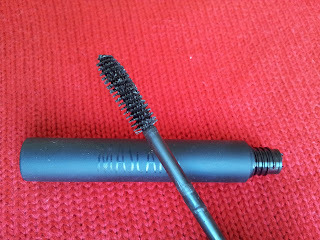 I have come to find I use them all at different times and depending on what I'm doing. 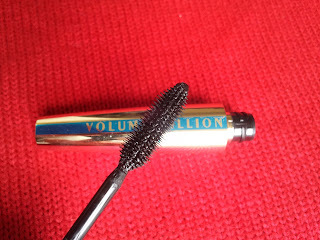 Some are better for day time/office wear, while others are my preferred options for going out. Sometimes I also like to combine two different types. 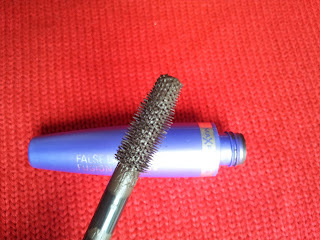 In terms of subtle day wear I personally think the Max Factor Falsh Lash Effect (5th mascara) is the best (which is in complete contrast to what the name suggests). 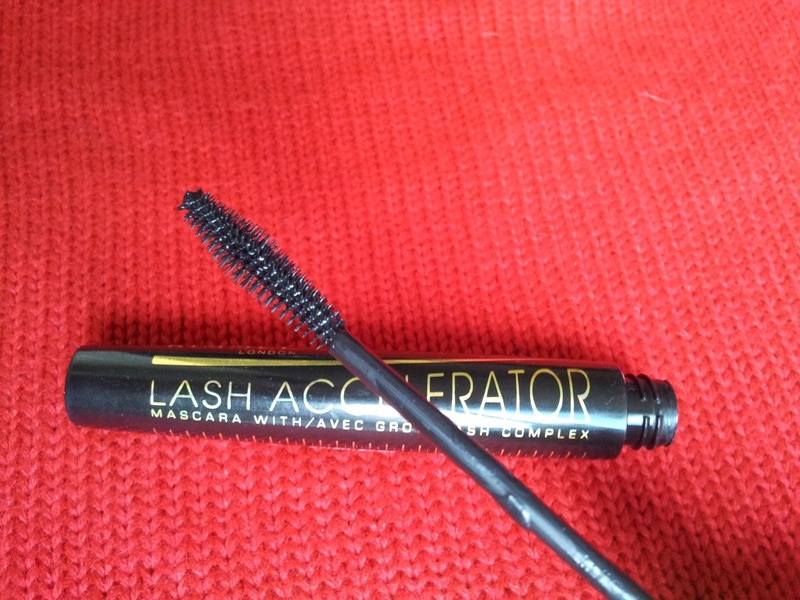 If I have been wearing this Max Factor for the day in work and I want more dramatic eyes for the evening, I bring Rimmell Lash Accelerator with me (last mascara), a layer of this on top of the Max Factor mascara is perfect. When it comes to a more dramatic look for going out on the town, I reach for the Rimmel Lash Accelerator Endless (1st mascara). I feel even one layer is sufficient, but two layers makes it even more dramatic. 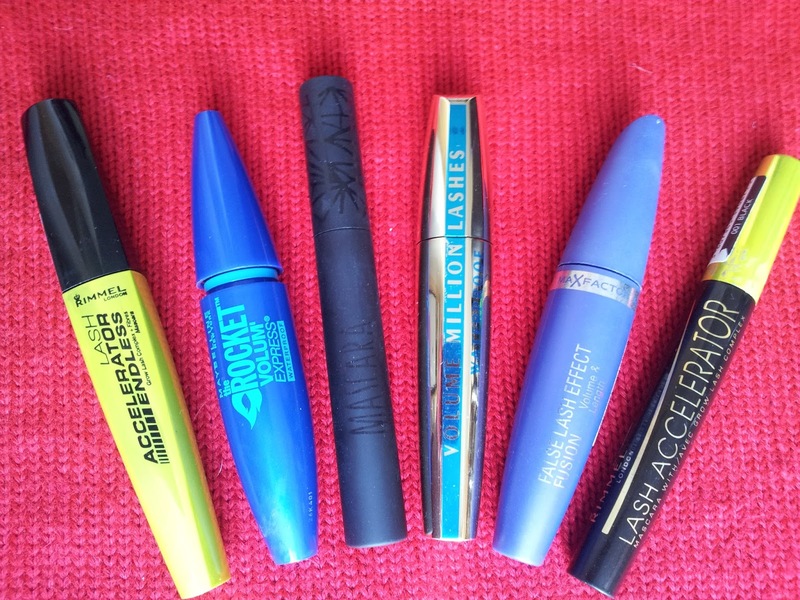 I have shown all the various wand types below to give you a feel for each mascara. 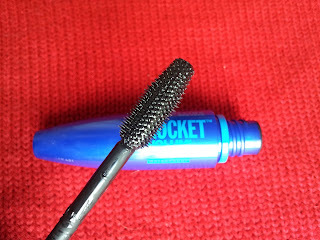 What brands would you recommend for day time and night time looks?